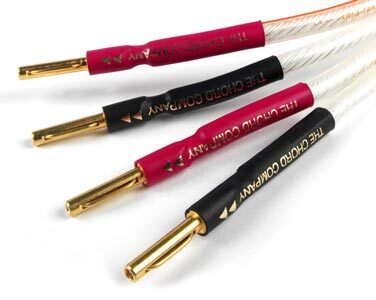 Chord Rumour combines silver-plated conductors with Teflon™ insulation to bring an outstanding level of detail and tonal neutrality to a very discreet and easy to install speaker cable. With a diameter of only 5mm, Rumour is easily concealed and works beautifully with everything from mini-systems right up to full blown active set ups. 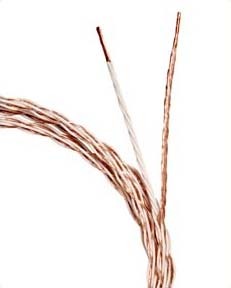 Chord Rumour speaker cable was the first speaker cable that Chord designed. 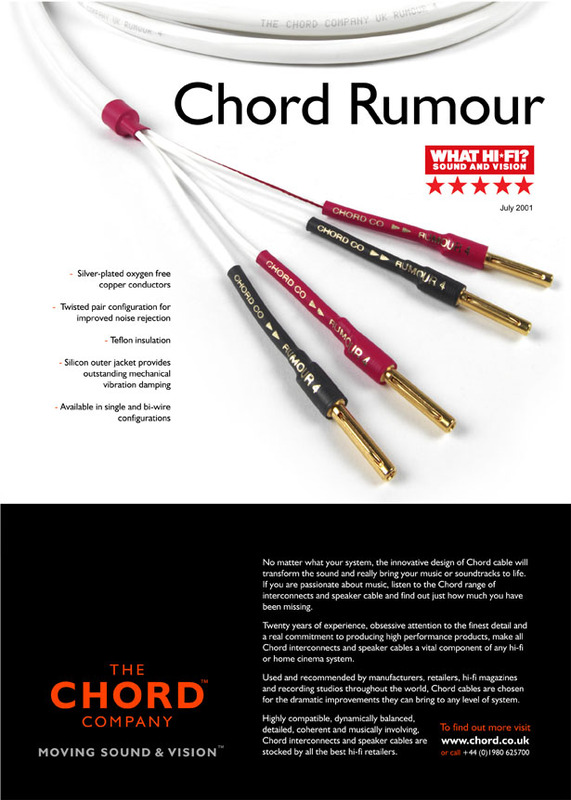 Chord were already aware of the real benefits to be had from using silver plated conductors in conjunction with Teflon® insulation. In the course of experimentation, they found that twisting the two conductors together bought some real and dramatic improvements. 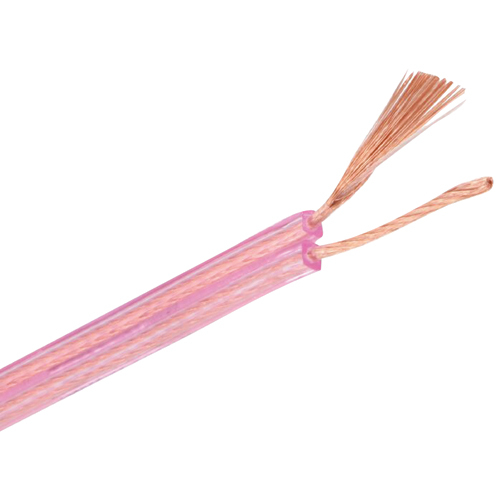 There is nothing new about the use of twisted conductors in the manufacture of speaker cable, but at the time, this approach had fallen out of fashion in favour of heavy gauge parallel conductors. A lot of work was carried out to establish the number of twists required in order to optimise the performance. 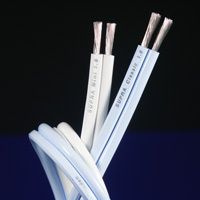 Rumour uses 19 strands of silver plated oxygen free copper per conductor, surrounded by Teflon® insulation. 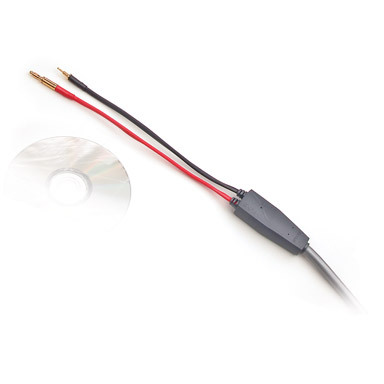 The conductors are 16 gauge and although this appears to be surprisingly small for a speaker cable, its performance is anything but and its current capabilities surprisingly high. 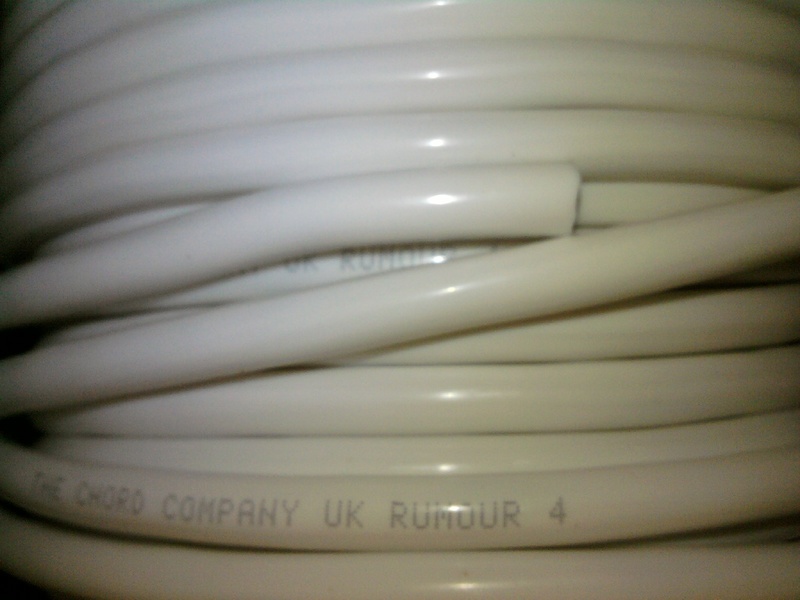 The original version of Rumour was simply the above cable with no outer jacket. 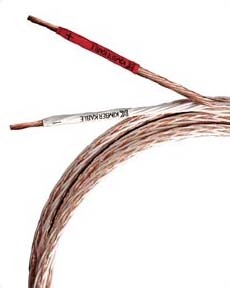 Later on we were able to extrude a silicon jacket over the twisted Teflon® insulated conductors. Because of this jacket we now refer to this as Rumour 2 and the original version as Rumour Install. 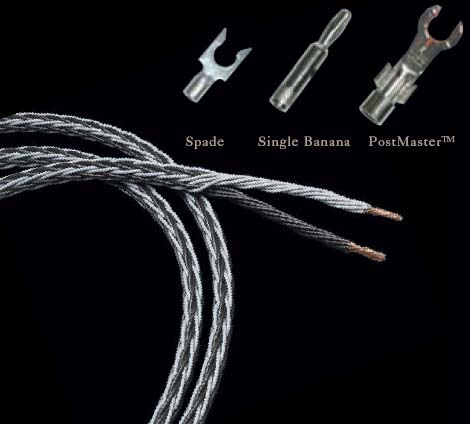 Teflon® and silver used in the construction of speaker cables have some real benefits. Teflon® will withstand very high temperatures and is resistant to most solvents. 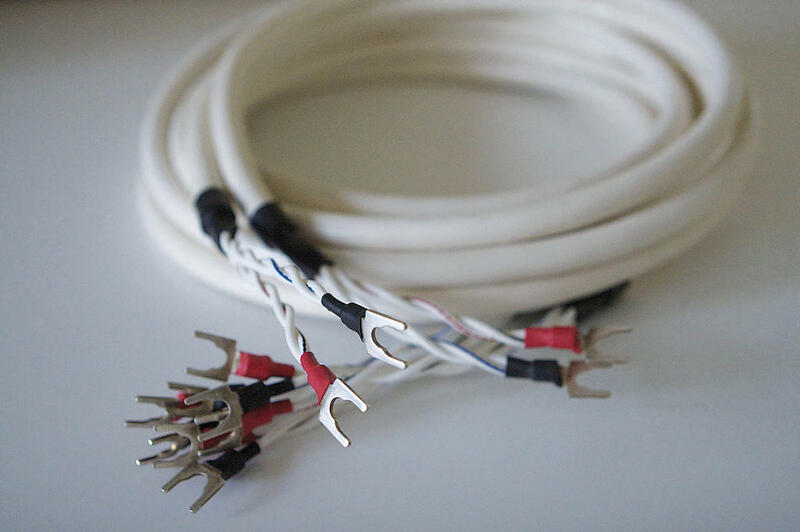 It is also extremely good at preventing air from reaching the conductors it surrounds and because of this, oxidisation of the conductors ceases to be a real problem. Further to this, although silver does oxidise, the oxides it produces are barely less conductive than the silver. 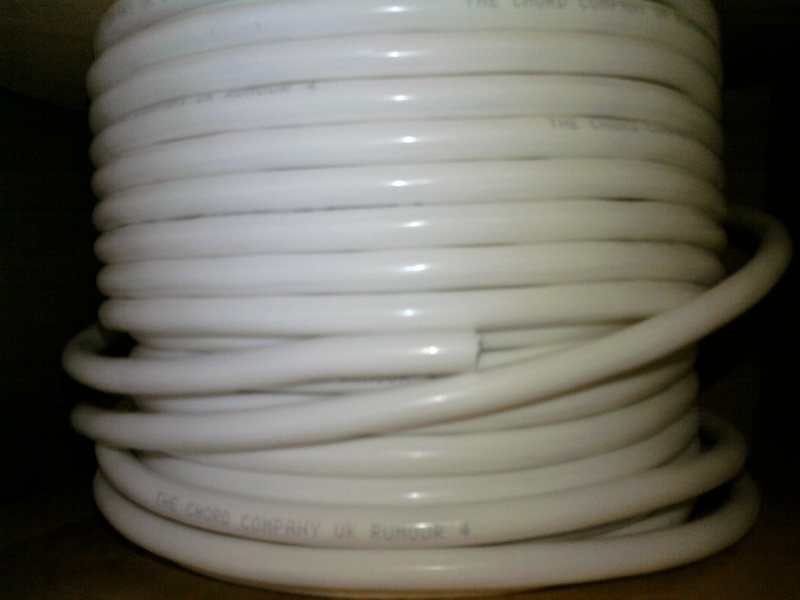 This means that the performance of the cable will remain consistent for many, many years. 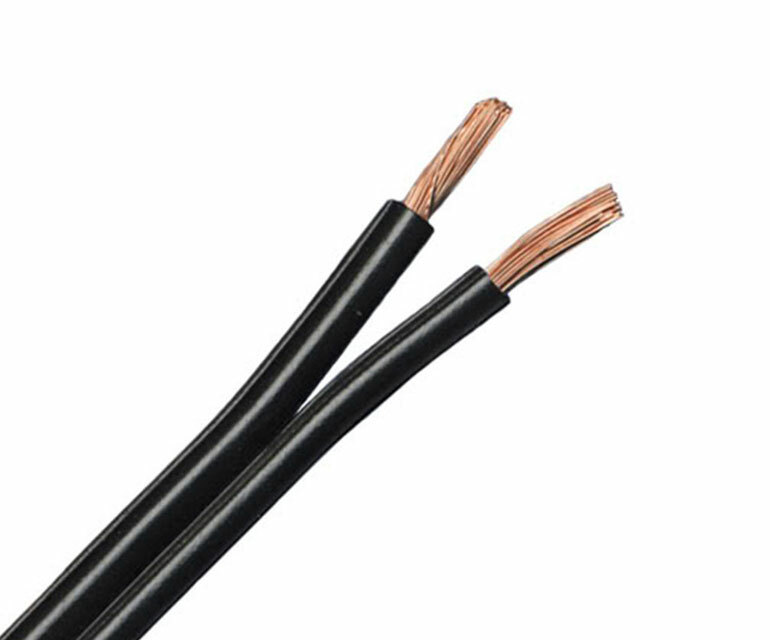 Copper PVC cables will degrade quite severely over the years. PVC is hydroscopic, or put another way can be seen as a fairly porous material. 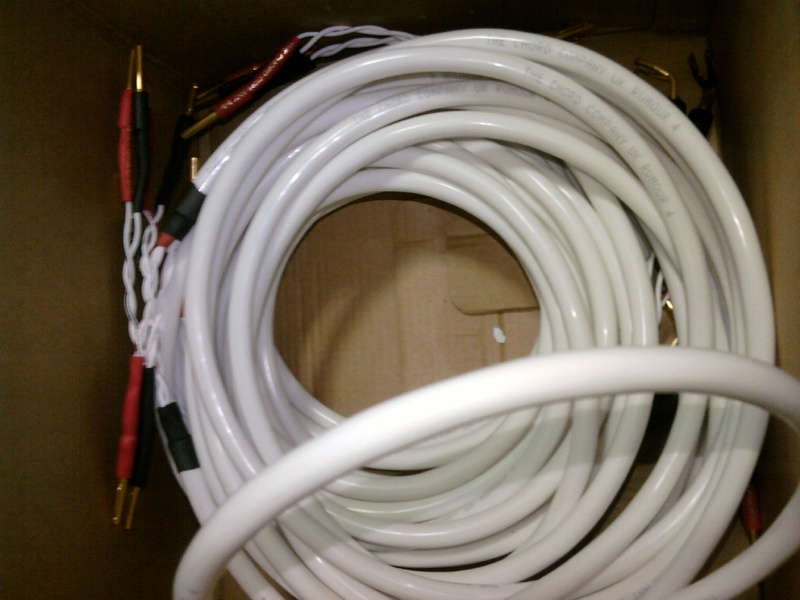 Cheap speaker cables often use clear or translucent PVC as an insulator and if you look carefully, you will be able to see signs of oxidisation along the length of the cable. Silicon was chosen as an outer jacket partly for its flexibility and partly for its excellent mechanical damping. The outer jacket also helps to hold the twists of the cable firmly together and allows us to produce an excellent bi-wire version of Rumour. This is called Rumour 4 and simply uses two pairs of evenly spaced twisted conductors in a larger jacket. 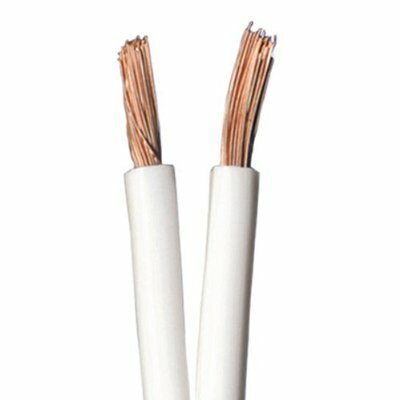 Bi-wire cables can be problematic and often, because of the way they are constructed, sound completely different to the standard dual conductor version. 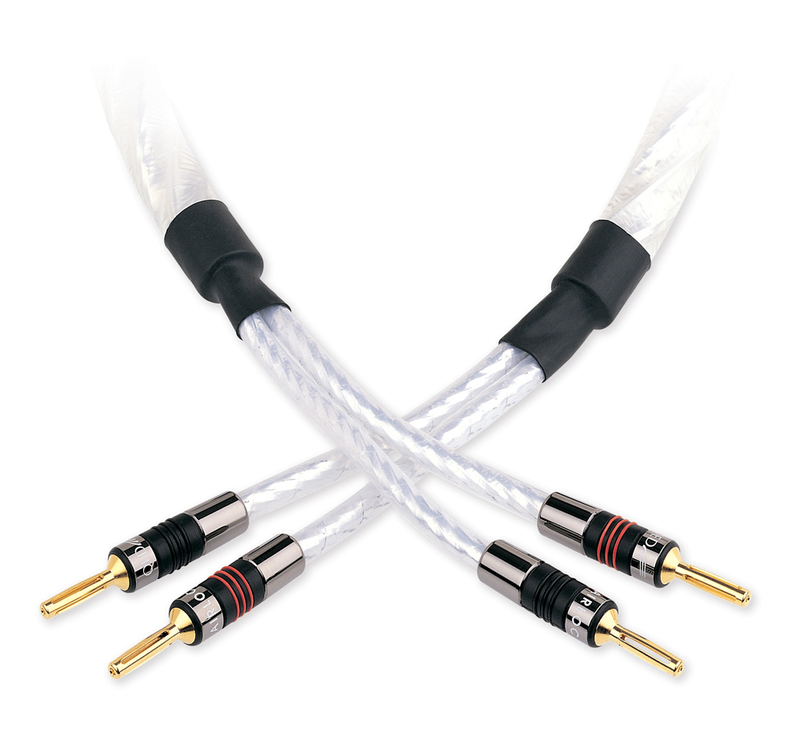 By using the same twisted pair design, the performance remains remarkably consistent. Theoretically the silicon outer jacket should help to produce a better performance from the cable, but in fact, opinion is divided fairly equally as to which is better. For what it is worth, the designer, if aware of what he is listening to, prefers the performance of the silicon jacket version but whilst listening blind, is not always able to identify whether he is listening to the jacketed or install version. 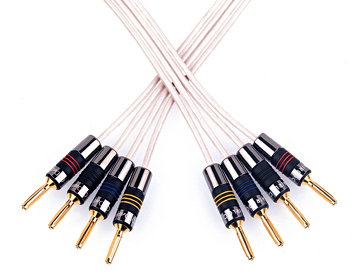 Rumour speaker cable is extremely easy to fit to almost any type of termination, and of a small enough gauge to fit the spring clip sockets found on some amplifiers and speakers. 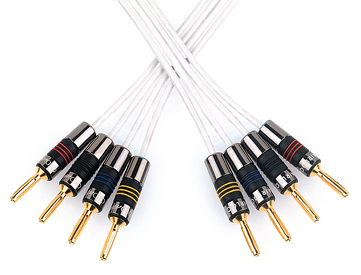 Chord‟s standard termination is either 4 mm Banana Plugs or the BFA Plug as used by some amplifier manufacturers. It is worth mentioning again that as this cable has silver plated conductors, there is no reason that bare ends should not be used in a binding post. Rumour really is a jack-of-all-trades speaker cable and has been used in everything from mini systems right up to full-blown active systems. 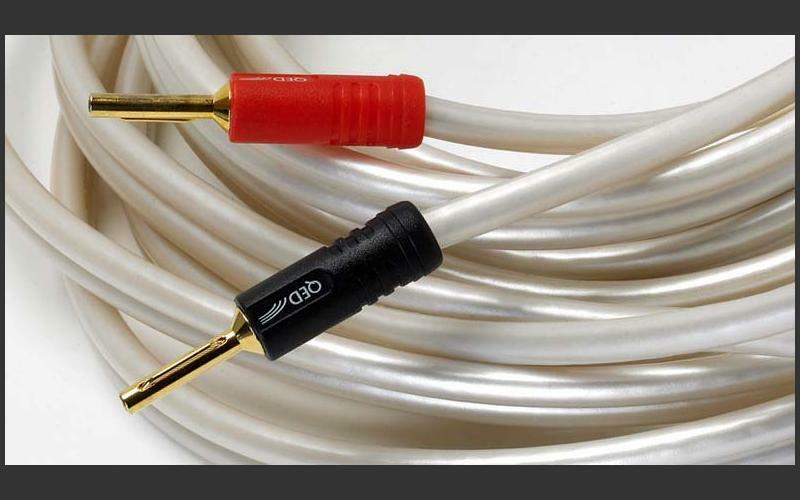 The size of the cable makes it a very attractive proposition for anyone wanting to get really good sound quality from a near-invisible cable. It is discreet enough to tuck between a carpet and skirting board. Even with the outer jacket, Rumour 2 is only around 5mm diameter. 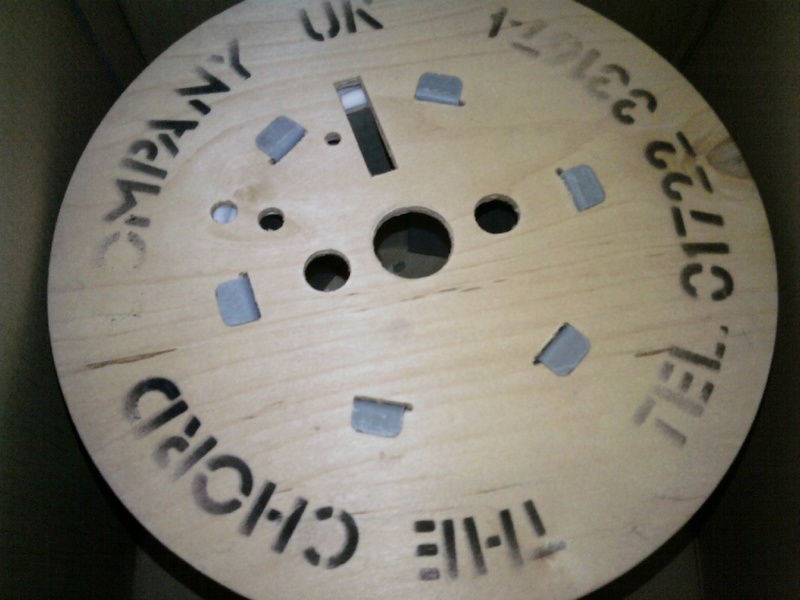 Rumour is a very clean, neutral sounding cable. It is remarkably coherent and helps to produce a surprisingly deep but very well controlled bass. 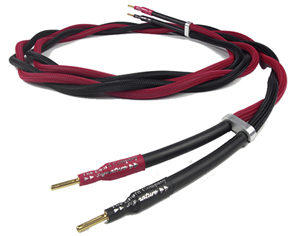 As mentioned above, Rumour really does work very well in all levels of systems and many dealers use this cable with all levels of equipment, simply because it produces a very musical and enjoyable sound and is extremely easy to install tidily. Rumour is very difficult to directionalise during blind testing. We recommend that the cable is fitted so that the print on the cable runs from the amplifier towards the speakers, but should this not happen, it is best to leave the cable as installed. The difference a cables direction makes from new are very marginal. However, with cables that show very little directional characteristics, this can change as a current is passed through them. Once Rumour has been installed in the system, whether in the correct direction or not, changing the direction will be detrimental to the sound of the system. There is not really a good explanation for this but as a statement, it could be said that “Cables that are not particularly directional from new will become so when used, and cables that are very directional will not sound right if installed in the wrong direction”.